I hope everyone's week is off to a good start! 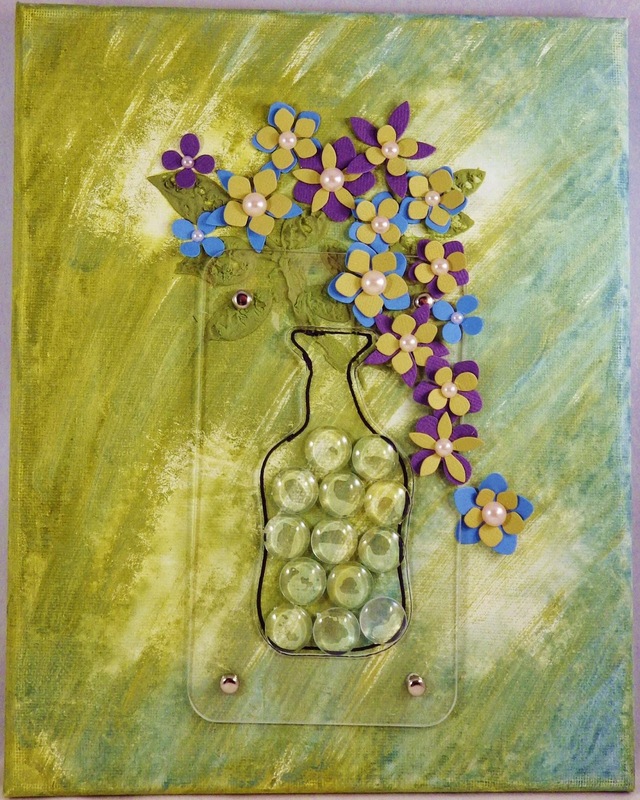 Today we have a colorful card created by Candy Spiegel using our acrylic whimsical wine bottle template. Candy used Distress Paint, Canvas, Robin's Nest giant dew drops, Elizabeth Craft Designs flowers, Wendy Vecchi paste and stencil, pearls, sharpie, and brads to create this beautiful card. You can view this, along with many other templates and embellishments, in our store.